Classic trench coat is among my favorite autumn clothes for a long time. Such nicely cut, extremely feminine and practical type of clothing should be present in the wardrobe of any woman who values elegance and style. Although it is fit for almost everything, I prefer to wear it with dresses, tights and pins. Bardzo elegancka stylizacja, ale mam pytanie. Czy próbowałaś eksperymentować z innymi kolorami rajstop, żeby dodać trochę ekstrawagancji? 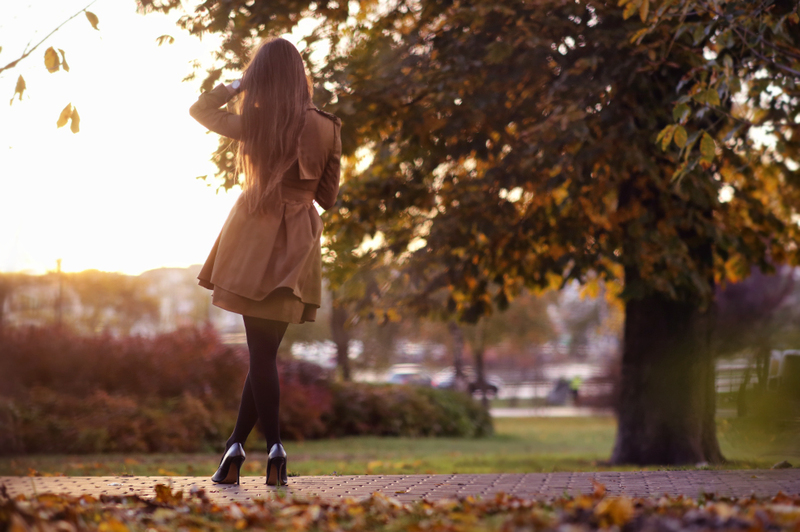 Wonderful autumn photos, elegant autumn style. You look great! Best photos of this set: 2 and 4. Piękna jesień. Płaszcze to sama elegancja. Having another long look at these glorious photos. You are marvelous! Didn't I say that you are irresistible? Thanks for sharing with us. Wyglądasz perfekcyjnie, elegancko, bosko. Masz piękne szpile ! !